Gourmet Burger Kitchen York - Lendal York. 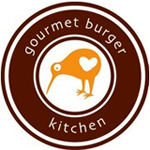 The Gourmet Burger Kitchen menu offers an extensive range of freshly prepared burgers to suit all tastes and appetites. The menu offers classic flavour combinations such as Chicken, Camembert and Cranberry, Beef, Avocado and Bacon. It then goes one step further with exciting new burger combinations such as Chorizo and Sweet Potato, Lamb and Minted Relish, or the vegetarian Portabella Mushroom burger. The specially developed GBK sauces and relishes help to define each burger. 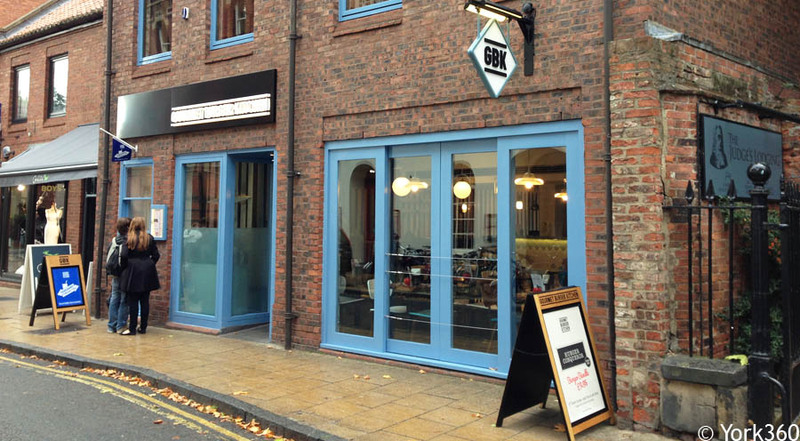 The GBK premises reflect the simplicity of the operation. The decor is clean, crisp and fresh. The kitchen is clearly visible - watch while you wait, see what you eat, enjoy the creation.